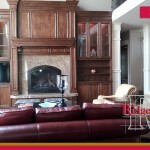 Trends have a way of changing quickly, which is ever apparent in the remodeling industry. Our clients are constantly bringing new dreams to us to build, but some tend to last a bit longer than others will. 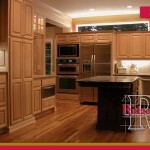 That’s often the case when it comes to kitchen remodeling. Here are some of the biggest trends that are taking over the cooking spaces we renovate, and are also popular around the U.S.
Countertops are popular, and they always will be one of the first things a remodel should entail. Having the best countertop you can afford ensures a great look and longevity, two important factors when it comes to changing a home’s appearance. One of the trends for the countertops is more color though. Having a bit more color can brighten up the room quite a bit. 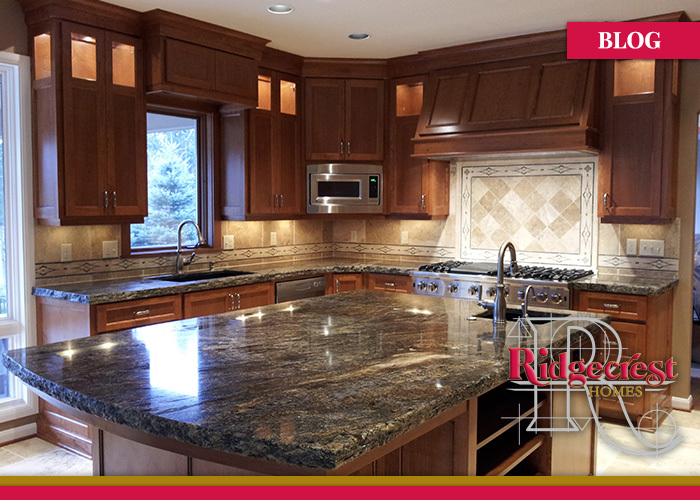 However, color might not be right for everyone; therefore, granite and marble are still great options that always seem to be popular with our clients. 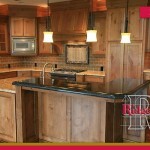 Kitchen islands are another very important feature in today’s modern kitchen, and they are more than just aesthetic. They look nice and can be useful for storing anything from a wine rack to a spice rack. However, this added space is very useful for food preparation too. Instead of keeping all of the kitchen appliances out on the counter, the trend is to find ways to hide those appliances. You still need to use them, but you don’t need to see them all the time. If this is the thought crossing your mind, an option is to have us build some custom storage or cabinets for them that can help to hide their appliances.